Remind your students what they need to bring to Spanish with this fun poster! It also helps reinforce classroom object vocabulary. 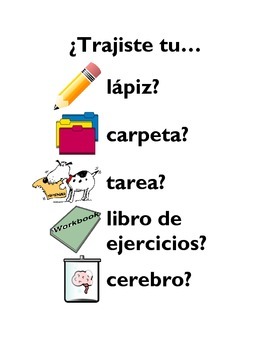 Poster asks students, (in Spanish), "Did you bring your pencil, folder, homework, workbook, brain?"